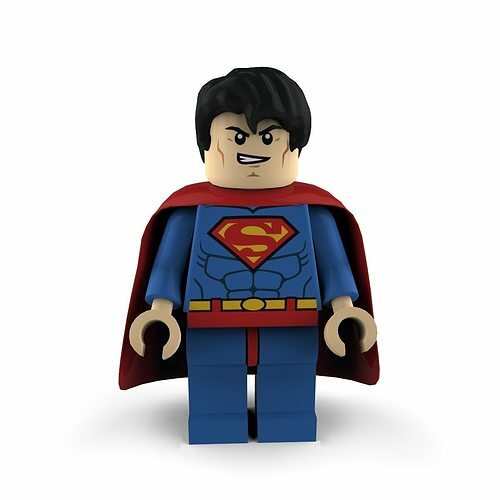 Superman, also known as Clark Kent, is a minifigure from the Super Heroes theme. He is also confirmed to appear as a character in The LEGO Movie as a Masterbuilder. correctly scaled accurate representation of the original objects. ?- Model is fully textured with 2k map applied. ? Max models grouped for easy selection & objects are logically named for ease of scene management. ? Model is centered in 3d space, each part are arranged in heirarchy and parented objects.